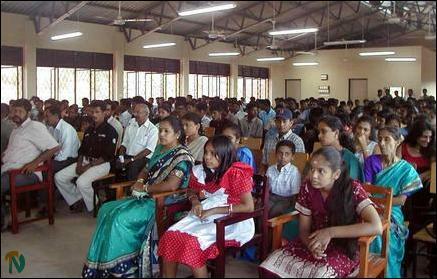 Severe shortage of full-time instructors and teaching equipment at the Trincomalee Government Technical College are jeopardizing educational standards of students who seek higher technical education, said the principal of the college Mr.V. Suntharalingam presiding over the concluding event of the tenth anniversary celebrations of the institution held last weekend. Trincomalee Technical College was established in May 1993 in a private building with four courses, 57 students, one permanent teacher and some part-time teachers. By 1999, it was relocated in a modern building complex in a fifteen-acre land area in Mihindupura, about 2 km off north of Trincomalee town on Trincomalee-Jaffna trunk road and has sixteen courses and the strength of the students has been about 518. Although the number of permanent teachers has increased to four and part-time teachers to 48, the college still suffers from lack of adequate permanent teachers and equipment. A new workshop for Motor mechanism, and Air-Conditioning/Refrigeration is near completion. "We do not want auditorium. 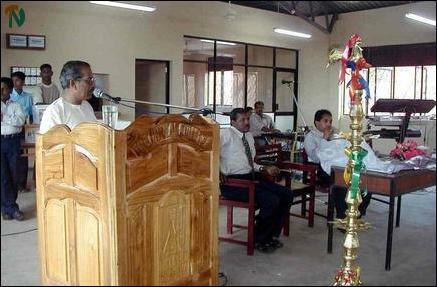 We want workshops for our students to have proper technical education," said Mr. Suntharalingam. He said the youths of Trincomalee district were deprived of technical education till the establishment of the Technical College. "The government should take immediate steps to provide permanent instructors and other staff and modern equipments to the college," said Tamil National Alliance (TNA) parliamentarian Mr.K.Thurairetnasingham participating as the chief guest. Technical education plays a vital role in providing the youth with the necessary skills that would enable them to contribute to the development of the district, Mr.Thurairetnasingham said. Deputy Principal Mr.K.Santhakumar proposed vote of thanks. The event concluded with a musical show.